Flexera Recruitment 2019: Are you dreaming for Associate Software Engineer Jobs? Then, here is the best opportunity for all B.E, B.Tech, MCA graduates. 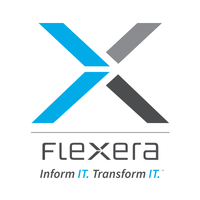 Flexera is recruiting for the role of Associate Software Engineer, and looking for 0 – 1 Year experienced candidates. So, interested candidates can apply now for Flexera Jobs through Online. Accordingly, for the sake of the eligible candidates, we had given the Online Registration link which is attached at the end of the page. Moreover, get clear details of the Flexera Recruitment from the below sections. 1.4 How To Apply For Flexera Recruitment 2019? Flexera is a developer and provider of IT asset and vulnerability management, monetization and compliance solutions for businesses. Flexera was founded in 2008. Flexera’s headquarters is located in Itasca, Illinois, USA 60143. From on-premises to the cloud, Flexera gives companies clarity into their technology “black hole,” helping business leaders turn insight into successful action. With a portfolio of integrated solutions that deliver unparalleled technology insights, spend optimization and agility, Flexera helps enterprises optimize their technology footprint and realize IT’s full potential to accelerate their business. It is a fast-growing, category-leading organization with ambitious objectives and a positive, inclusive culture. They are looking for passionate professionals who want to grow their talents and achieve great things. For over 30 years, their 1300+ team members worldwide have been passionate about helping more than 50,000+ customers fuel business success. How To Apply For Flexera Recruitment 2019? Candidates who are interested to work in the Flexera for the role of Associate Software Engineer can apply through Online by following the steps given below. Initially, click on the below provided Online Registration Link. Then, you will be directed to the page showing the details of the Associate Software Engineer Jobs. Go through all details mentioned there by the Recruiters of Flexera. Click on the Apply Now button and again you will be taken to a page containing Online Registration form. Fill all the required details like technical and personal. Hence, got all the details of the Flexera Recruitment 2019? For more details like this, stay with us @ Freshers Now. Thank You and Good Luck!! !